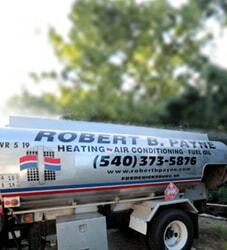 5 Ways to Reduce Your Cooling Costs During a Fredericksburg Summer | Robert B. Payne, Inc. The hotter it is outside, the more money you’ll need to spend on keeping your home cool. For many, the summer months are the most expensive part of their annual electricity budget. Fortunately, there are a few things you can do to alleviate some of the financial burdens and make this summer cheaper. Here are five ways you can work to reduce cooling costs without sacrificing your comfort. Although your overhead fans might not seem that powerful, turning them on overnight or when you’re home can make a big difference in how much cold air your home requires. By circulating the air that’s already inside, you’ll keep the airflow going and circulate more coolness. Fans do use electricity, but leaving a fan on requires much less power than adjusting the home’s entire temperature. The sun can undoubtedly raise the temperature of a room as it pours in through a window. That’s why it’s smart to invest in light-blocking curtains or blinds. During the brightest (and hottest) times of the day, prevent natural light from seeping in and raising your home’s temperature. Your cranky old thermostat probably isn’t that great at regulating temperatures and making sure the air conditioner is being used effectively. By looking into smart thermostats, you can make sure that your AC is only running when it really needs to. This will save you bundles in the long-run. There’s no reason to keep your house at 70 degrees if you won’t be home for several hours. Be smart about adjusting your home’s temperature before you head out for the day so that you aren’t wasting precious cold air and electricity. 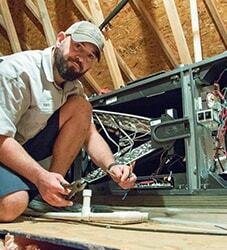 If your air conditioner isn’t maintained and repaired regularly, you might be throwing away countless dollars. Have a professional HVAC company evaluate your system annually to ensure that it’s running smoothly and efficiently. In need of a professional company to help prep your AC system for summer? 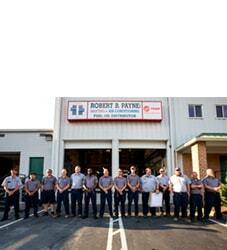 Contact Robert B. Payne Inc. Their representatives can double-check to make sure you’re paying as little as possible to run your system during the hot months of the year. To schedule an installation, inspection, or repair, call (540) 373-5876 today.